It is a hot late afternoon in the Vietnamese highlands, and the sun is beginning to set over the mountains. I have just paid a few dollars to enter Cat Cat Village, one of tourist attractions around Sapa which targets Vietnamese as much as international visitors. The main attraction is apparently a waterfall (‘Cat Cat’ being a corruption of the French ‘cascade’), but the trail leads through a local village which has also become part of the tour. The residents who were here long before the tourists are Hmong, one of Vietnam’s 53 officially recognised minority groups who make up about 14% of the country’s population. While almost all minorities are poorer than the ethnic Kinh majority and politically marginalised, the Hmong are at the very bottom of the ethnic hierarchy with the highest poverty levels and lowest education rates (Nieke and Luong 2013). Near the waterfall is a ‘cultural performance centre’, where the same six actors dress up in different costumes and perform the dances and songs from all the different minority groups. I’ve seen these dances before; they’re almost identical to another cultural centre in a different tourist attraction. Instead, what grabs my attention is something hanging on the wall: a qeej, a free-reed mouth organ. Not dissimilar to the Scottish bagpipe, the qeej is not just an instrument but also an important symbol of Hmong cultural heritage, imbued with historical and ritual significance. The qeej can even ‘speak’ a secret language which is traditionally believed to be able communicate with the spirit world, with various words and tones achieved by playing different notes (Morrison 1998). However, when I ask the performers, no-one knows how to play the qeej: it is just a decoration on the wall. A bit disappointed, I walk back through the village towards the exit. On the way out is an intriguing sign pointing towards the house of a ‘traditional Hmong shaman. The house is very normal, as is the man – wearing plain clothes – so I ask him to double check that he is the shaman. “Can you play the qeej?” I ask. He replies: “Yes of course. But I don’t have one here with me, if I had one then I would show you.” This gives me an idea; the cultural centre is now closed but I hurry to the top trail entrance to find a souvenir shop selling, among other things, a few qeej. I manage to borrow the qeej from an ethnic Kinh lady after explaining the situation, before rushing back down to the shaman’s house, by now in a bit of a sweat and with some curious onlookers. Mildly intrigued, the shaman picks up the qeej to play it – but something’s wrong. It’s not working properly. He starts deconstructing the instrument before laughing: “It’s a fake!” There are no holes or reeds on the pipes, rendering it useless. I apologise to the amused shaman, before trumping back up to the shop to return the piece of junk. My wait to hear an ‘authentic’ qeej performance continues. As in China, when the Vietnam’s ethnic classification project in the 1950s attempted to categorise ethnic groups, official used “observable cultural traditions”, including music and ritual activities, as ‘objective’ criteria to officially define and fix ethnic diversity (Keyes 1996:1187). Over time, ethnic minorities have become “folklorized and aestheticized in museum exhibits, festivals, and cultural performances” in order to satisfy stereotypes held by the Kinh majority and other tourists (Taylor 2008:16). This is especially evident in tourist traps like Cat Cat village where a whole village has literally been fenced off, and two entrance fee booths placed on either side (presumably the locals don’t have to pay). Unlike in China, it is still very easy to hire a local tour guide or motorbike, escape the town of Sapa and find more remote ethnic minority villages which are less directly affected by tourism. This is very popular with Western backpackers, eager for an ‘authentic’ cultural experience, while most ethnic Kinh visitors see no appeal in trekking for hours and are content to stay well on the beaten track, sticking to more accessible, commercialised sites. Nevertheless, the beaten track is expanding as the state penetrates further upland in search of profits. 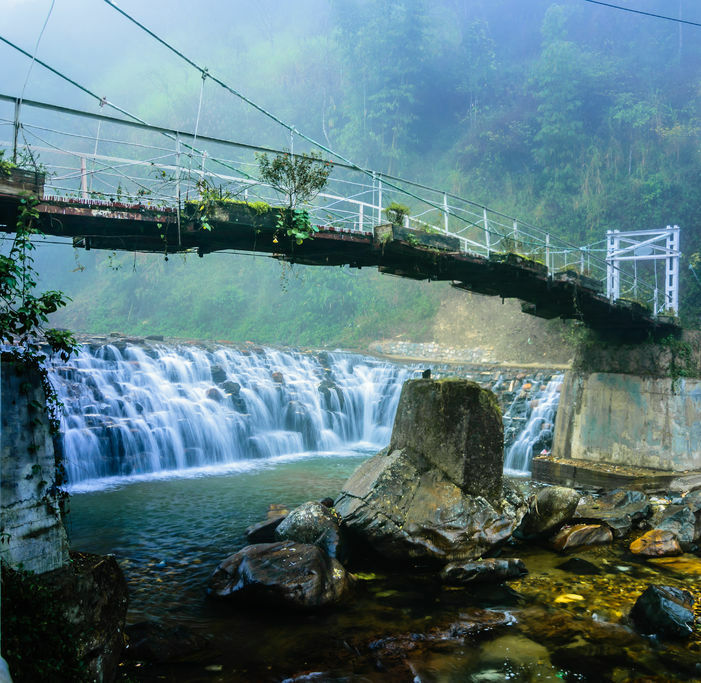 With a newly completed highway dramatically cutting the driving time from Hanoi to Sapa, tourism is booming in this highland town and dozens of new hotels have been built over the past two years. Word on the street is that the grand plan is to turn the whole district into a colossal ‘ethnic theme park’ and turn many more ethnic minority villages into ‘sights’, based on the Chinese ethnic tourism model. 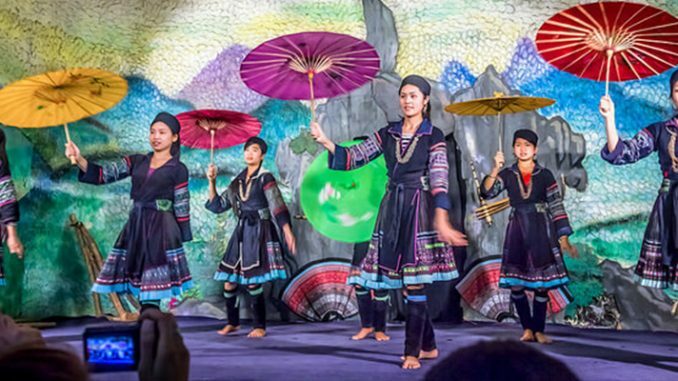 Ironically, this mass-tourism industry has resulted in the Hmong of Southern China abandoning their traditional customs, clothing and language more readily than their counterparts on the Vietnamese side of the border (Turner, Michaud, and Bonnin 2015). Highlands groups in South East Asia have always been changing, negotiating with and adapting to external forces, but the next few decades look set to be particularly unsettling. Back in Cat Cat Village, I return the counterfeit qeej to the Kinh shop owner. She is a bit surprised, but not that concerned, to find that she is selling fakes; as long as it looks authentic, tourists won’t know the difference. On the way back to my hotel, I reflect on how my little escapade epitomises the way culture in Vietnam is being commodified and sold for a cheap buck – at the expense of something much more valuable. Seb Rumsby is a PhD candidate at Warwick University’s department for Politics and International Studies. Keyes, Charles F. 1996. “Being Protestant Christians in Southeast Asian Worlds.” Journal of Southeast Asian Studies 27(2): 280–92. Morrison, Gayle. 1998. “The Hmong Qeej: Speaking to the Spirit World.” Hmong Studies Journal: 1–17. Nieke, Wolfgang, and Minh Phuong Luong. 2013. 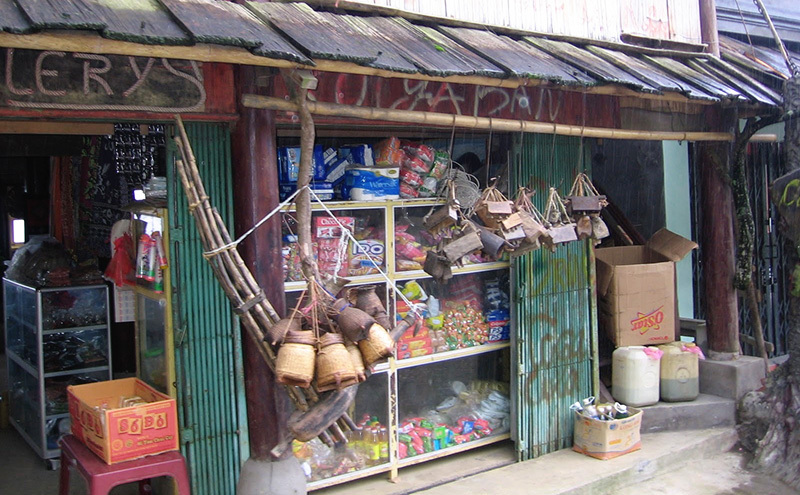 “Minority Status and Schooling of the Hmong in Vietnam.” Hmong Studies Journal 14: 1–37. Taylor, Philip. 2008. “Minorities at Large: New Approaches to Minority Ethnicity in Vietnam.” Journal of Vietnamese Studies 3(3): 3–43. Turner, Sarah, Jean Michaud, and Christine Bonnin. 2015. Frontier Livelihoods: Hmong in the Sino-Vietnamese Borderlands. Seattle: University of Washington Press. It breaks my heart to see we, Hmong being sold from clothes to culture…without any regard. Just the other day, I was in a shop in the Old Quarters of Hanoi, a young French couple picked up a small hand cloth ball (pob) and examined it. I couldn’t help myself and felt the need to explain its purpose (as it much more than just a handmade ball). I left-with the owner looking very surprised and the couple genuinely intrigue…perhaps if they did end up buying the pob, they will understand its value and the people just a bit more.